In mid-April, the company will localize the MEWP VR simulator into Spanish (North American) and French (European). Additional languages are planned for later this year which support international expansion. 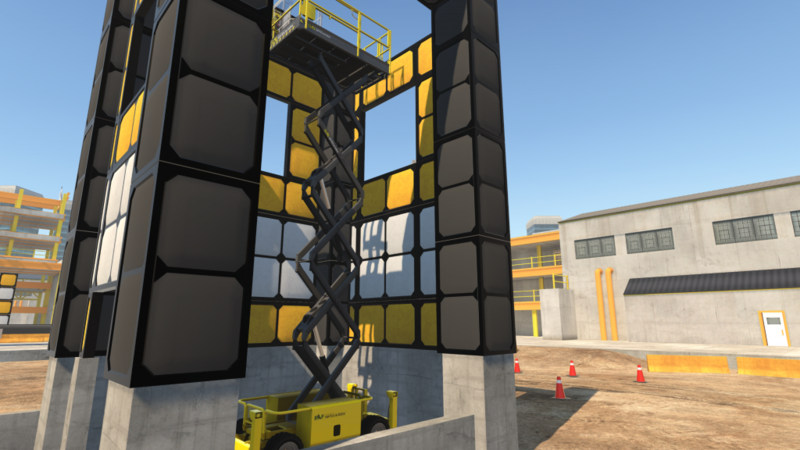 The new MEWP VR Simulator combines Serious Labs' scissor lift and boom lift modules providing a comprehensive operator assessment within the VR MEWP operator training solution. The simulator offers 32 progressively difficult scenarios, using objective machine observation to assess and improve an operator's skills. Operator feedback is focused on the value or liability the individual brings in terms of safety, efficiency, and proficiency, with metrics that provide either assurance of an operator's competency or inform the need for additional training. "Localizing the simulator's on-screen information as part of an internationalization effort is a priority," said Wade Carson, Director of Business Development, Serious Labs. "Adapting the MEWP simulator to the language of a specific culture enhances the effectiveness of the training." "From a business perspective, localizing our training opens up a broader market," said Carson. "Our training can already be found in the U.K., Germany, France, Netherlands and the Middle East. Our training is available in Canada and the United States through United Rentals, and we are hoping to expand to South America as well." VR simulators provide a learning medium for operators to explore realistic jobsite environments and safely test the limits of equipment in dangerous situations. Simulators were previously only available in industries such as aviation, but they are becoming increasingly used in the construction industry where safety and competency are critical. In other news, Bauma attendees are invited to test their skills on the MEWP VR Simulator Monday through Wednesday until 1pm for the title of "World's Smoothest Operator." Operators' scores will be ranked over the first three days of the show for a chance to win a signed Edmonton Oilers hockey jersey by forward Leon Draisaitl of Cologne, Germany and the title "World's Smoothest Operator." "Leon signed and donated the jersey to us for this contest and we couldn't think of a better Canadian souvenir to take home from bauma. Plus, the winner gets global bragging rights for the next three years!" said Carson. Serious Labs MEWP VR training is now available by subscription, lease or rental through Rapid Access, Manlift, Nationwide Platforms, Loxam, Riwal, United Rentals and AST GmbH Arbeitssicherheit & Technik. CM Labs Simulations, developer of Vortex training simulators, today announced the release of a unique collaborative learning solution that engages two trainees simultaneously. Crane Industry Services, LLC (CIS), Carrollton, Georgia, now offers training for employers who need to qualify individuals to do crane operator evaluations, according to new OSHA requirements. In addition, CIS staff can provide third-party crane operator evaluations to assist companies who need extra help getting these done. Caterpillar Safety Services is developing Cat Safety VR, a new virtual reality (VR) safety training module. Customized for paving applications, the new VR safety training solution immerses the trainee into a virtual four-lane rural highway construction site, so the employee learns to interact with coworkers and identify hazards in a safe and controlled environment. Recipients of the third annual FortisBC Excavation Safety Awards are being recognized at the Canadian Common Ground Alliance (CCGA) annual symposium in Whistler. The Excavation Safety Awards are awarded to companies that have a record number of tickets into BC One Call without any line damages within the last three years. This year, the recipients are RS Line Construction Inc. and Rokstad Power - two construction businesses based in the Lower Mainland. WorkSafeBC is launching an awareness campaign to educate employers and workers about impairment in the workplace, as the legalization of recreational cannabis takes effect October 17. Poor weather increases risk and affects the safety of site workers. Whether maneuvering mining equipment, or using a construction machine on site, one thing's for certain – safety devices have to be effective. Working at night and battling poor visibility caused by rain, snow and ice are everyday hazards for tens of thousands of mining and construction drivers across Canada. Safety is improving in the construction industry, according to the National Safety Council, but serious injuries and fatalities still occur. Exposure to electricity is a major cause of death among construction workers in Canada. On average, 143 construction workers are killed each year and thousands are severely injured due to electrocutions. Inspired to give employees the skills to move ahead and confront the demand for an available workforce, contractor Allan Myers is launching a new three-year mission called Stepping Up. A fundamental tool of Stepping Up is the Myers Mobile Training Center, the result of a collaborative effort between Allan Myers, Volvo Construction Equipment (Volvo CE) and Volvo Financial Services (VFS). Excavators are the superheroes of modern construction equipment but even the best machines can run into trouble in the wrong hands. In this 60-second explainer, Volvo looks at what not to do with an excavator. Volvo Construction Equipment is working on a research project to improve work site safety in collaboration with its customer Colas – a world leader in the construction and maintenance of transport infrastructure. The new Signaller Training Station is a simulation-based solution that CM Labs says is the only one of its kind in the industry. With the so much changing in the updated CSA B354 standards, it is important to call attention to one key item that every user (identified in the standards as employers) needs to be aware of: risk assessment. It has been said that "we are what we repeatedly do." Workers do not purposely disregard safety rules and warnings, but it is easy to get distracted and to become complacent, even with training. The Canadian Centre for Occupational Health and Safety (CCOHS), in partnership with the Great-West Life Centre for Mental Health in the Workplace, is helping workplaces in Canada take action on psychological health and safety with the online toolkit, Guarding Minds at Work. Genie protective solutions continue to evolve. Highlighting a new generation in innovative solutions, a prototype of the Genie Lift Guard Contact Alarm system for Genie GS slab scissor lifts and Genie GR, GRC and QS vertical masts will be shown to customers in North America during the OSHA National Safety-Stand Down, May 7–11. This system is an electronic secondary guarding solution designed to activate when an obstruction makes contact with an activation whisker mounted to the lift's platform guardrails, alerting operators, occupants and ground personnel to a potential hazard. The prototype will also be shown to Genie customers during Vertikal Days in Leicestershire, United Kingdom, May 16–17, and at HIRE18 in Brisbane, Australia, May 30–31. JLG Industries will participate in a number of events for National Safety Stand-Down this week.